The jam looks delicious and you are one lucky lady to see all that wildlife on your way to work. All I get to see is Manchester rush hour traffic, which I luckily usually get to whizz past on my bike rather than getting stuck in it. Even though I was lucky enough to see me colleagues brand new seven week old kitten on my way to work this morning. So cute! I’ve just given you an award, come check it out! I need to make some Jam… I am glad you posted this! I really wanted to join in the fridge competition but when I looked at it, I don’t think it’s worth it! Thing is, the fridge is low down, so all it has on the front is a couple of magnets, there is no point sticking anything on it as it’s too low. I could stick things on it just for a day and then take them off again?! No fair! I want to join in! Mmmm, lovely! I shall have to make some of this Wendy. 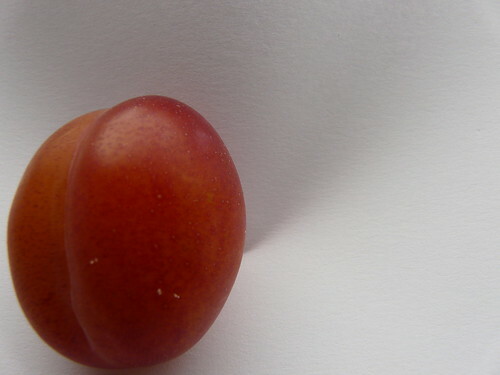 I don’t have a plum tree, but plums are really cheap in the shops just now. Craftyjuicebroker – You are very welcome. Johanna – No, they don’t. And I have to say, as interesting as they were, I do not miss morning bus journeys. Folk can be very odd indeed. Pat – I’m very pleased with it. Tastes more plummy that I had imagined. And as for Marco… he doesn’t complain, anyway! Oh, I bet that jam tastes absolutely heavenly. Really the very best thing to preserve the flavour of the season’s bounty! What a perfect entry for the challenge – thank you for submitting it. Ha ha! My fridge is all of those things! Oh, go on then. I will try and get a submission in tomorrow. I saw your entry from Antonia “British Food Fortnight” and I just have to come by and say hi. I never had and made plum jam before, judging from your recipe, it doesn’t seem to difficult to make. I certainly tempted to try your recipe. Cheers. I stubbled upon this recipe while trying to find something to do with a massive amount of plums I got from my fairly young plum tree this year. I have not made jam before & your recipe looks straight forward enough, I have been & got the sugar & lemon but before I start are you able to tell me roughly how many jam jars you got from your 1.5kg plums? Great blog by the way, so glad I stubbled upon it. Marvellous recipe and thank you Wendy. 4 kilos of plums make roughly 3 litres of jam. Thanks a lot – the jam turned out pefect but I used granulated sugar but heated it before adding after the first boiling. Second lot today and I used apple pectin (home cooked) instead of lemon and it is all just yummy. If you have plenty of fruit Pectin: Apple(cooking or crab) pectin stock 2 lbs -add 1 – 1/2 pints water. Stew gently 3/4 hour. Gooseberries 2 lbs- add 1 – 1 1/2 pints water. Stew gently 1/2 hour. Redcurrants 3 lbs- add 1 – 1 1/2 pints water and Stew gently 1/2 hour. Strain through jelly bag or sieve. Use 1/4 pint to 4 lbs fruit. Add at beginning. I freeze 1/4 pints and it is so easy to add at the start. Thank you for this lovely recipe, we have just come down from our field with about 18/20lb of victoria plums, yummy, so buy my sugar later and jam make Saurday, whippee. Hope it turns out as good as yours looks. 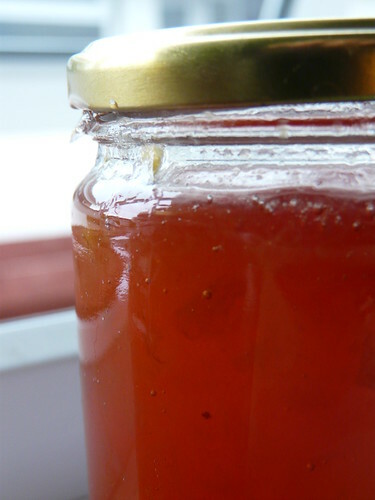 I have made this jam this afternoon and it is the best recipe i have come across. Mind you, i didn’t put as much sugar in as you quoted, just put 1 kilo in instead, added a cooking apple and it’s skin (as the skin has pectin in it) and cooked it about 20 mins longer. The colour is superb. It tastes great too. Thank you very much. I couldn’t believe how easy this was and it was really delicious. Been using this recipe for years now. Everyone agrees, best jam ever!